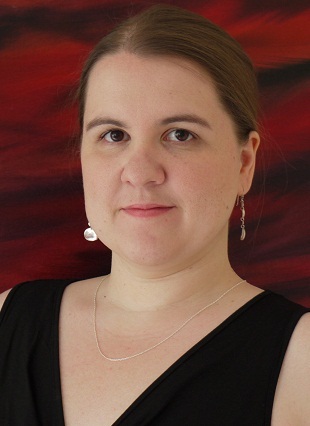 On The Big Break today, I would like to welcome Jenna Burtenshaw author of the Wintercraft trilogy. 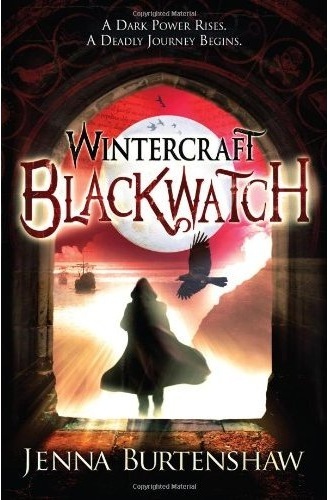 Headline has just published the second book in the Wintercraft series called Blackwatch. If you would like to know more about Blackwatch, then please click here for my review. Hi Vivienne. Thank you for inviting me. It’s a pleasure to be here. What was your first reaction when you found out that your first book was to be published? How did it make you feel? There were two defining moments, really. The first was when my agent told me that there were publishers who liked the idea of the story and wanted to read the entire book. That was when I started to think, ‘Wait a second. This is really happening!’ I was excited that publishers were going to read it, but nervous at the same time. After that, I was invited to meetings with publishers in London, and a few days later, my agent told me that there was enough serious interest from to take Wintercraft to auction. I’d read about book auctions and often thought how thrilling it would be for my book to be part of one. When it happened, all I had to do was wait by the phone for my agent to call and tell me the outcome, but I have never known a day pass as slowly in my life. When the call finally came and I heard that Headline had bought the UK rights to Wintercraft in a two book deal, the first thing I thought was ‘What happens next?’ When you are trying to get a book published, you look into all the ins and outs of finding an agent and making your book the best it can be, and it’s all very helpful until you reach that point when you realise you haven’t prepared at all for what comes next. From that moment on, I was swimming in uncharted waters, but very happy to be there. The day of the auction I was at home with my family, trying not to think about what was happening in London. I remember it being a beautiful sunny day and I spent a lot of it out in the garden. I got the final call on my mobile and there may well have been some silent phone-dancing involved. My mum. She’s been right by side through all the ups and downs of becoming a writer, from experimenting with stories in the early days to finally sending Wintercraft away to agents. She was as excited as I was when everything started to take off. It was wonderful to share that moment with her. How long did it take for your book to be published after you had been told? The auction took place on 12th June 2009 and Wintercraft was published on 13th May 2010: so just under a year. It all moved very quickly. The story was edited by my wonderful editor, Hannah, at Headline. Then I tweaked it a little, polished it up and made it shine brighter. After that there were copy edits to work on and proofs to check, and I got to see early ideas for the cover art. (That was the part I’d been looking forward to the most.) I think I re-read the entire book at least six times between selling the rights and seeing it in print. How did it feel to see your name in print? It was a fantastic feeling, and the realisation of an ambition I’d had for a long time. I still haven’t got used to it. The first book I received is very special to me. When I see copies of it in bookshops it still feels slightly surreal. Where was the first place that your saw your book on sale and did you do anything crazy when you saw it? For instance, did you tell the staff in the book shop that you wrote the book? The very first place I saw it was my local Waterstone’s in Darlington. I wasn’t even looking for it at the time. I was walking through the young adult section and suddenly, there it was! I didn’t buy it. I left it behind for whoever came along next. The story had already spent a few years with me and it was time for it to move on to someone else. I haven’t actually gone into a bookshop and staked claim to Wintercraft yet. Now you’re giving me ideas! I am currently finishing off book 3 in the series and working on plans for a fourth book that is set in a very different world. This one involves lots of research, so my bookshelves are filling up very quickly. How do you plan to celebrate the release of your second book ‘Wintercraft: Blackwatch’ in the trilogy? I haven’t really thought about that yet! I think I’ll just see what happens on the day. I’m not really one for parties, though. I’ll just be happy knowing that Blackwatch is out there, making its way in the world. The only real advice is to write something you would love to read. Don’t worry about what you think is popular or unpopular right now. Go with your instincts and don’t give up. It might take a long time before you have a story that’s ready for publication, but getting to that point is half of the fun. Writing a story is like putting together a huge puzzle piece by piece. If you love writing, stick at it! It will all be worth it in the end. I would like to thank Jenna Burtenshaw for joining me on the blog today and allowing me to take part in her blog tour. Jenna will be appearing at Clover Hill Books tomorrow talking about her main character in the series Kate. If you would like to know more about Jenna Burtenshaw and the Wintercraft series, then please click here to visit her blog. I haven't read her first book yet, but I am off to check it out now. Thanks for another interesting Big Break. Lovely interview :) I have Wintercraft here, I pre-ordered it last year but I haven't read it yet. it's such a pleasure to read interviews like this one--jenna seems so down-to-earth and genuinely happy about the process of writing and getting her novels published. i've enjoyed your recent spate of interviews--you ask great questions and today i learned about a series i might have missed otherwise! Great interview. This sounds like an interesting series. She gives great advice to upcoming writers. Great interview :) I'm a big fan of this series and look forward to future titles from Jenna! Ooh. A book auction does sound incredibly thrilling. I have no idea how one can try NOT to think about that when it's going on! Wow.